EU Flight Delay: More Than 3 Hours? Get on enough planes and sooner or later you’re going to experience a flight delay. It’s part and parcel of life on the go, but it can affect everyone from experienced air travellers to summer holiday hopefuls. 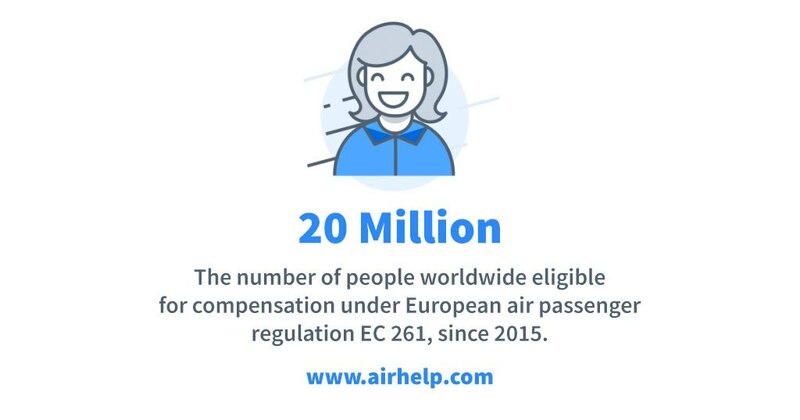 The good news is that you’ve got air passenger rights. 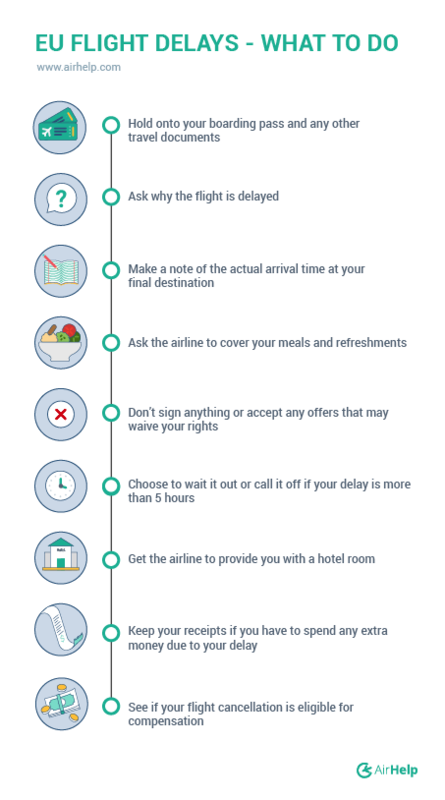 If you’re delayed for more than three hours at your destination, the airline owes you more than a complimentary snack. We’ve put together a comprehensive guide to consumer rights when it comes to delayed or cancelled flights, overbooking and luggage problems on our Know Your Rights pages. But before you head there, here’s Scott, who wants to quickly talk about the five-most-dangerous-words in the travel industry. Oh, and you can also take a quick screenshot of what you should do if you’ve been delayed for more than three hours in the EU. This can be an uncomfortable experience, because often airlines don’t know themselves how long you’re going to be kept on the ground. Take note of the time the plane doors are closed, because a tarmac delay is the same as a normal delay in terms of your rights. If the tarmac delay is one hour or more, it is mandatory that the plane provide air conditioning, lavatories, and water. Know your rights.